I received the new sump for the build. It is a test of patience to see the pieces of the new aquarium setup and not be able to do anything with them. I ordered a Trigger System Ruby Red 30 from Reef2Land (https://www.reef2land.com/). This is the second time I have ordered from them, and I am happy with both orders. The first was for the Trigger Systems Cube in the 60 gallon aquarium. I am so excited, but I have a laundry list of items to get done before starting on the actual assembly. It makes me feel like a kid, when I built out my 10 gallon aquariums. I had three going at one time when I was 16. The first was a saltwater aquarium with three fish and one sea horse. The second aquarium was half land and half water with salamanders. The third was a planted freshwater with catfish and red tailed sharks. Back then, I couldn’t imagine having a 75 gallon, let alone a 110 gallon. More importantly, back then, I had no idea what I was doing. Today, I think I just scratch the surface of what is possible and what should be avoided. Electrical plugs placed in just the right position for hiding the wires. Run two water lines through the walls and the attic to the laundry room where I have my RO/DI system and sink. I am hoping to hit a switch to drain water to the laundry room and open a valve to fill water to the tank. No more siphoning water and carrying buckets. Build a stand that has the interior optimized for sump maintenance. Have water detection devices placed within the stand to identify leaks. I will keep you posted on my project progress. 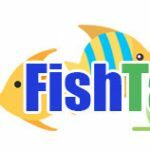 I post pics and thoughts to my twitter account, so follow me @FishTanksMore.